Dr. Guralnick served as a mentor to faculty members and students at Massachusetts General Hospital. 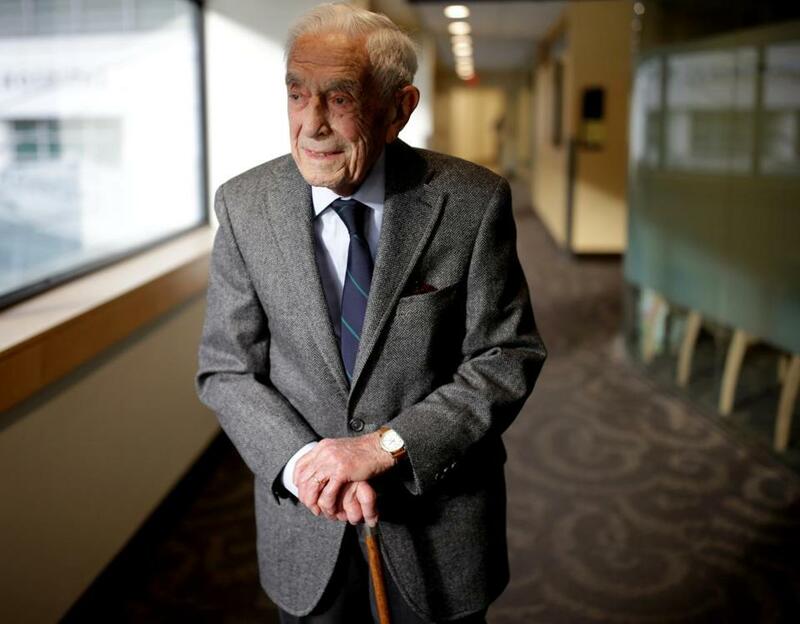 As his 100th birthday came and went last November, Dr. Walter Guralnick kept going to work a few days a week at Massachusetts General Hospital, his professional home for 65 years. By then, he had retired from performing oral surgery and instead was a mentor to faculty members and students who sought the counsel of someone who had changed dental history in Massachusetts and across the country. 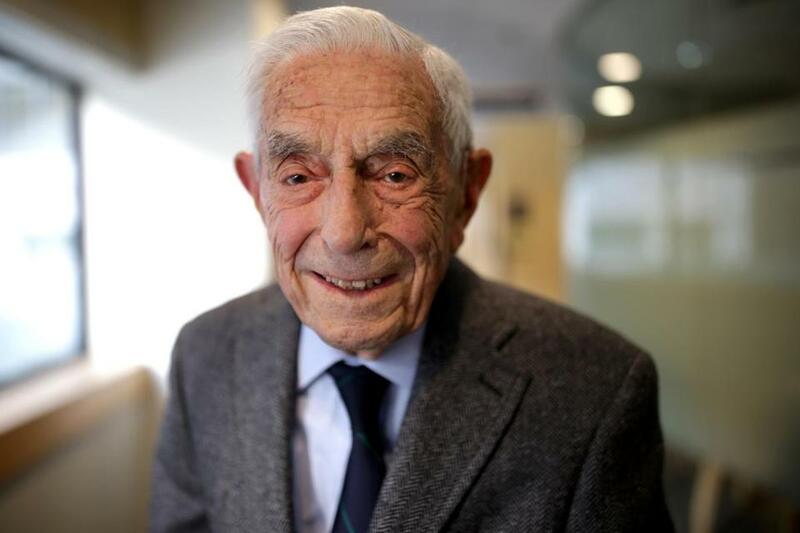 Dr. Guralnick, who died at MGH Wednesday night of complications from congestive heart failure, was a driving force in a decade-long push to create dental insurance in Massachusetts in the late 1960s. He also advocated for groundbreaking changes in dental school education in the early 1970s that produced better-trained oral surgeons. Colleagues say it’s impossible to quantify how many more patients were treated and how many teeth were saved over the past five decades because of his efforts. The Dental Service Corp. of Massachusetts was launched in 1970, and for a decade Dr. Guralnick served as president of the organization, which is now part of Delta Dental. “In the 1950s to 1960s, it was very apparent that there was no sort of insurance for dental care, so a lot of people couldn’t get care because they couldn’t afford it on their own,” he told a Mass. General publication last year. A former president of the Massachusetts Dental Society, Dr. Guralnick led efforts more than 45 years ago to promote fluoridation of water supplies across the state. He also believed oral surgeons would benefit from receiving dual degrees and training in dentistry and medicine, and helped create an innovative program to do that at Harvard University that subsequently was imitated by colleges across the country. Walter C. Guralnick grew up in East Boston and Roxbury, a son of Dr. Rubin Guralnick and the former Nina Hazman, who were immigrants from Russia. His father, a prominent pediatrician, practiced in Winthrop and East Boston, where his poorest patients sometimes brought vegetables to pay for their treatment. Walter Guralnick graduated from Boston Latin School and went to Massachusetts State College, which later became the University of Massachusetts Amherst. He was on the sports staff of the Collegian, the student newspaper, and was elected managing editor — a post formerly held by his older brother, Dr. Eugene Guralnick, who became a prominent surgeon. Walter graduated from college in 1937 and from the Harvard School of Dental Medicine four years later. He was working as an oral surgery resident at Boston City Hospital when he heard on the radio that Pearl Harbor had been attacked. Before shipping out in the military, he married Betty Marson on New Year’s Day 1942 in the Brookline house where she had lived since she was 12, and where they lived throughout their marriage. Dr. Guralnick led efforts more than 45 years ago to promote fluoridation of water supplies across the state. Dr. Guralnick opened a private practice in Boston and began working in 1951 at Mass. General, where he chaired the oral and maxillofacial surgery department from 1966 to 1983. Dr. Guralnick’s many honors included being elected to the memberships of the Institute of Medicine of the National Academies of Sciences, and to the Royal College of Surgeons in England. He received the Arnold K. Maislen award at New York University, the Forsyth Institute’s Gavel Prize, and the Harvard Medal. The Harvard School of Dental Medicine has a professorship in his name in oral and maxillofacial surgery. His wife, who returned to school for a master’s in social work after their children were grown, formerly worked in a Roxbury office of the Boston Welfare Department and died in 2010 at 89. A couple of years ago, Dr. Guralnick moved to a residence in Cambridge. In addition to Peter, who lives in West Newbury, Dr. Guralnick leaves his daughter, Susan of Seattle; another son, Tom of Albuquerque; five grandchildren; and five great-grandchildren. There will be no funeral. A memorial gathering will be announced. During an interview at his desk at MGH in January, Dr. Guralnick told the Globe he still went to work not for the paycheck but for the satisfaction of making a difference.